A regular viewer of the Facebook version of Criminalize Conservatism (https://www.facebook.com/CriminalizeConservatism?ref=hl) commented a week or so ago that gerrymandering was a fact of life, and that it was something that was studied in school for quite awhile. 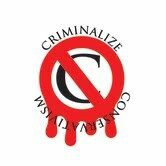 We've posted a few offerings from others on the subject (http://www.criminalizeconservatism.com/2013/01/eliminate-conservative-gerrymandering_27.html), (http://www.criminalizeconservatism.com/2013/01/eliminate-conservative-gerrymandering.html), (http://www.criminalizeconservatism.com/2013/01/conservative-gerrymandering-power.html), (http://www.criminalizeconservatism.com/2012/11/take-house-back-in-2014.html), and (http://www.criminalizeconservatism.com/2013/02/conservatives-last-stand-in-dixie.html), and we're now posting two articles - one about the continued gerrymandering in Ohio, and the second on a realistic strategy on how we can realistically rid ourselves of the pernicious democracy-killer. "I just wanted to go to work this morning. "On the way to work though, I made the mistake of stopping for a bagel, and the following stared up at me as I was getting coffee. 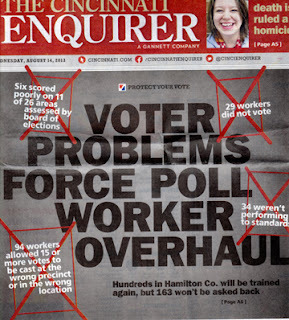 "While I'm glad the Cincinnati Enquirer is so interested in 'protecting the vote,' I can't help but wonder why they're not going after the much bigger voter fraud. "In 2012, while 47.5% of the state voted Democratic in Congressional elections, Republicans won 12 out of 16 Congressional seats. "To put this in perspective, 2.3 million people voted Democratic and won 4 seats while 2.5 million people voted Republican and won 12 seats. "That means it took 212,000 people to elect a Republican and 576,000 people to elect a Democrat. "Below the fold: links to the research and a few thoughts on what we can do. "This is a widely known problem so I'm not going to present much more detail. "The only other stat that might be useful is that if you consider Democrats won 25% of the seats with 47.5% of the state Congressional vote, this is the equivalent of 1,091,166 votes being thrown in the trash. 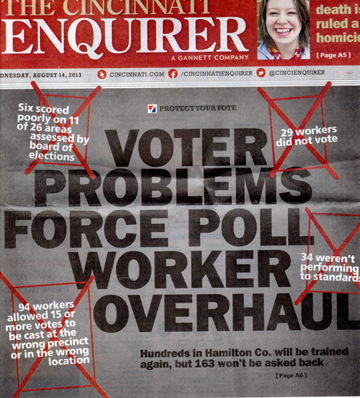 "Yet the Cincinnati Enquirer is publishing a front page story on an issue which didn't affect a single election. Yes, things likely could be better at polling stations. But no elections were affected by this polling station negligence. "Statewide Republicans, however, purposefully and legally dumped over a million Democratic votes in the trash and the Enquirer prints nothing. 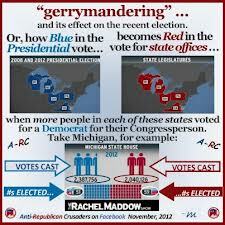 "The Cleveland Plain Dealer ran a great story on Ohio gerrymandering back in November. "The other affect gerrymandering has on districts is that it eliminates competitive districts. Basically, Republicans have little chance in the Democratic districts and Democrats have little change in Republican districts. "In other words, the people who determined this election were the small group of people who drew the districts, not the voters. "None of these officials is therefore technically responsible to voters but only to a small group of people in the statehouse who draw the districts. "And state officials get away with it because it goes largely unreported in places like Cincinnati. "Dizzy, the petition has been filed with 430,000 signatures, more than enough votes to get it on the ballot! "Any other thoughts on what we can do to fight gerrymandering are welcome! "8:14 AM PT: UPDATE: As a couple of folks have posted in the comments, the petition mentioned was for the 2012 election and the issue was defeated in November. Thanks to those who brought up and apologies for not catching this as I was writing before work this morning." "This is intended to be the first of four diaries on the following structural issues that can make a major difference in pursuing a more liberal agenda. All four are possible, but with various levels of difficulty. This is my poor attempt at providing something constructive for Kossites to chew on. "This first diary is about gerrymandering and what can be done to end it. 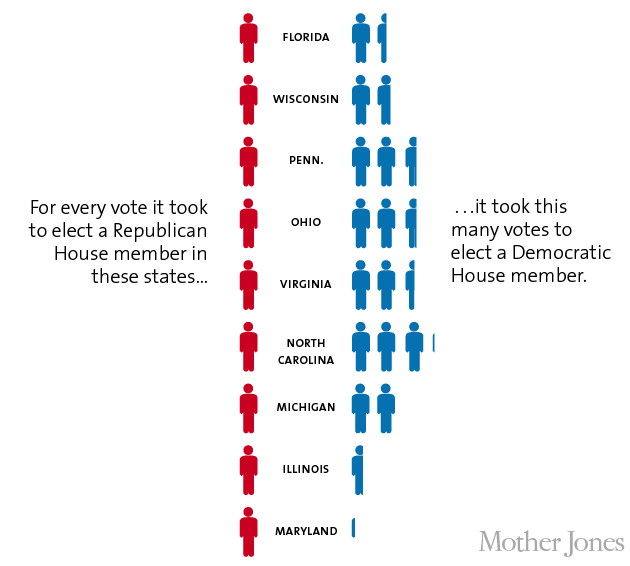 "In 2012, the Democrats won the overall vote for the House 48.7-47.6% This represents a difference of roughly 1.7%. "There have been some very good diaries on the topic over the last year, to include those byStephen Wolf, extina, kos, and others. Each identified of these focused on the impact of gerrymandering on the 2012 election, but none seemed to go to the heart of the problem: what to do about it. 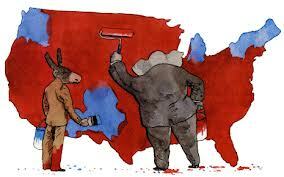 "In 34 states, redistricting is carried out by the state legislatures. 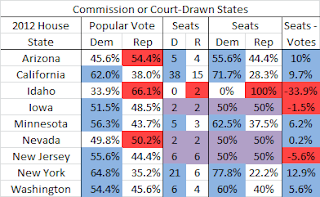 Six states (AZ, CA, HI, ID, NJ, WA) have an independent or bipartisan commission draw the maps. Three states (FL, IA and ME) have independent bodies within the government draw the maps. The remaining seven states only have one member of the House (AK, DE, MT, ND, SD, VT and WY). "In his diary, The Cost of Gerrymandering, kos identified 10 states that were the most gerrymandered for the GOP (in rank order): Florida, Georgia, Indiana, Kentucky, Michigan, North Carolina, Ohio, Pennsylvania, Tennessee, Texas, Virginia and Wisconsin. Not surprisingly, the gerrymandering of congressional districts translates into state level legislative districts. Is it a surprise that the states with GOP leadership that has caused most of the heartburn among Kossites lately are on this list? "An initiative is a proposal of a new law or constitutional amendment that is placed on the ballot by petition, that is, by collecting signatures of a certain number of citizens. "Cross referencing this list with Kos's above, Florida, Michigan, Ohio should be obvious targets for a ballot initiative process. "Ohio is a good one. It has 16 members of Congress, with the GOP winning 12. Obama won Ohio 50.7-47.69% amounting to around 230,000 votes in Obama's favor. The Ohio General Assembly has a party breakdown of 23-10 in the Senate and 60-39 in the House, both advantages in the Republicans' favor. 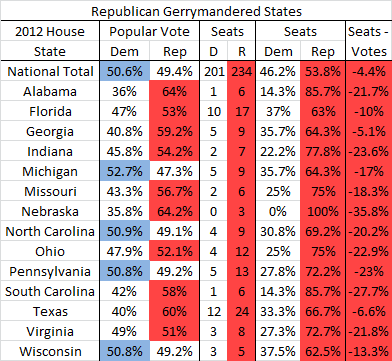 "This gap was clearly caused by gerrymandering. "So, if you are resident of Ohio, what can you do? Ohio has an initiative process that is pretty straightforward: Get a committee together, draft up the initiative, get 1000 registered voters to sign, get the petition certified and then collect signatures representing 10% of the state's registered voters. "Not easy, but doable and the process has been done on an array of issues in Ohio recently. "Mr. ROBERT RAY (Former Governor, Republican, Iowa): Number one, the Supreme Court of the state of Iowa said we needed to. And secondly, it seemed like the right thing to do. "Canvassing, a grassroots effort and a PR campaign to sell to the voters in a state that allowing for the state legislature to draw the maps is unfair to everyone can be a powerful message at a time when the political parties have such low approval ratings. In PA, where I live, everyone--Republican, Democrat and Independent--overwhelmingly believes that Harrisburg is incapable of tackling big problems. In today's environment, there should be more hope for this sort of effort than not. "I don't want to say much here, other than to recognize that a legal strategy to bring about change is possible, especially in states that have had problems with their redistricting maps (see TX). Whether this is enough to make a structural change depends on the willingness of state level courts to weigh in on the matter. "Since we don't have a liberal version of ALEC, I would suggest anyone interested in this process look at what Iowa and California have done as examples. "Iowa established a non-partisan agency within the state legislature which draws up redistricting maps within very specific guidelines. Once they have produced the map, the state legislature gives it an up-or-down vote. If it fails, then it goes back to the agency, which then produces another map. This process continues until the final map is drawn. "In accordance with the Voters FIRST Act (Act), the California State Auditor randomly selected the first eight members of the first Citizens Redistricting Commission (Commission) on November 18, 2010. These first eight commissioners—three who are Democrats, three who are Republican, and two who are either Decline-to-State or are registered with another party—were part of the 36 eligible applicants that remained in the sub-pools after the legislative leaders, exercised their authority to make strikes and eliminated the names of 24 applicants from the pool of 60 of the most qualified applicants identified on September 23, 2010 by the Auditor’s Applicant Review Panel (Panel). The Panel reviewed and evaluated the applicants based on criteria set forth by the Act approved by voters in November 2008; including relevant analytical skills, the ability to be impartial; and a demonstrated appreciation for California’s diverse demographics and geography. "The commission then draws the map after a period of open hearings, following specific guidelines provided by the law. If there is a challenge to the map or the commission cannot come up with their own map, the matter is forwarded directly to the California Supreme Court. "This is one the biggest structural changes that we can make that would have an impact on the future of politics in the US. By breaking the stranglehold the GOP has placed on states which vote for the Democrats in state-wide elections through gerrymandering, we can put the electoral process back in the hands of the voters. I'll take that every time. "This can only happen, however, through local efforts. Please contact your state-level grassroots organizations to see what they are planning. If nothing is happening, then start it on your own! 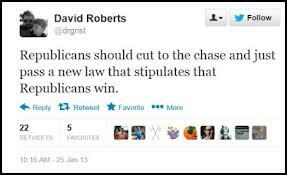 Our position on gerrymandering against the GOP is straighforward: The GOP is a front group for the criminal cartel called "Conservatism," and gerrymandering in favor of non-Conservative front groups is to be applauded. No vehicle for Conservatism should be allowed to exist, and we should profit by the lessons afforded to us by the cartel. And this is where the difficult work begins - at the local level with local efforts. As the second article says, "Please contact your state-level grassroots organizations to see what they are planning. If nothing is happening, then start it on your own!" opposed to the conservative who has both feet planted firmly in his mouth."